Last month the Home’s Campaspe Shelter in Echuca enjoyed a visit from a very special group of ladies from the Wharparilla Lodge. 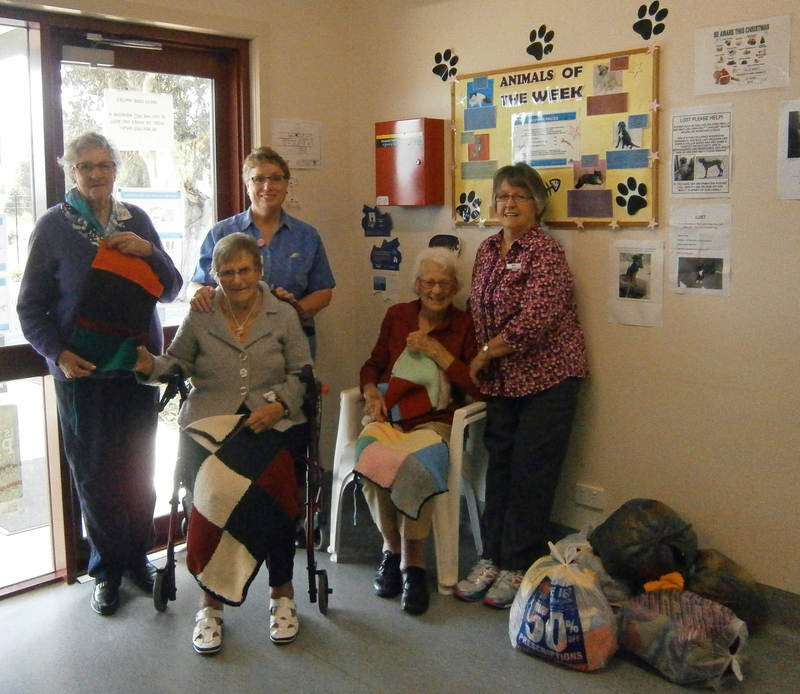 They came in with hand knitted gifts of blankets for the dogs and cats and took the opportunity to meet some of the animals that will benefit from their kindness. Many of them had shared their lives with animals in the past and so thoroughly enjoyed seeing the cats and dogs up for adoption. They were also very impressed with the shelter and promised Shelter Manager Kate Kemp that they will be going back to continue knitting! The Home’s shelters rely totally on the generosity of the community for donations of blankets, coats and bedding and are therefore so grateful for the kind support of wonderful of people like the Wharparilla ladies.